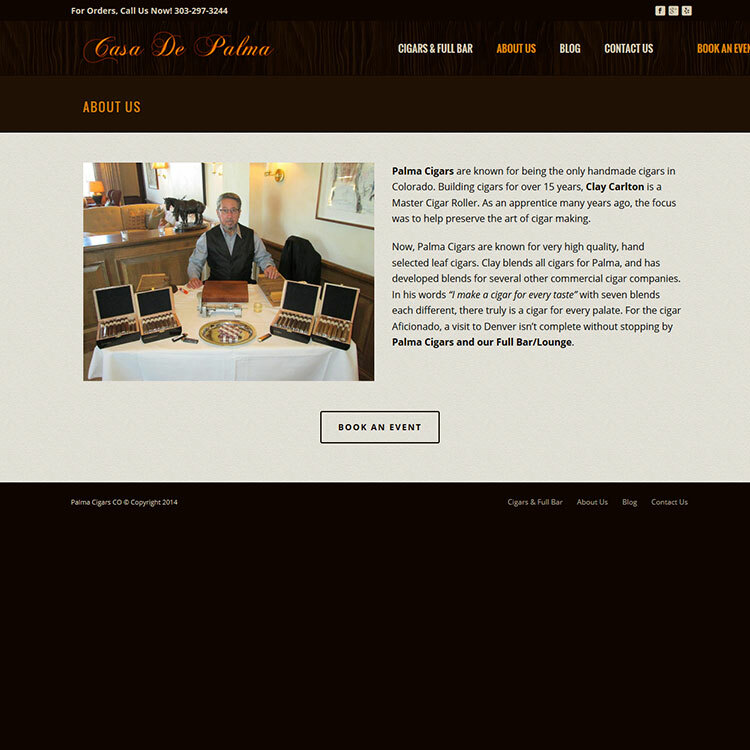 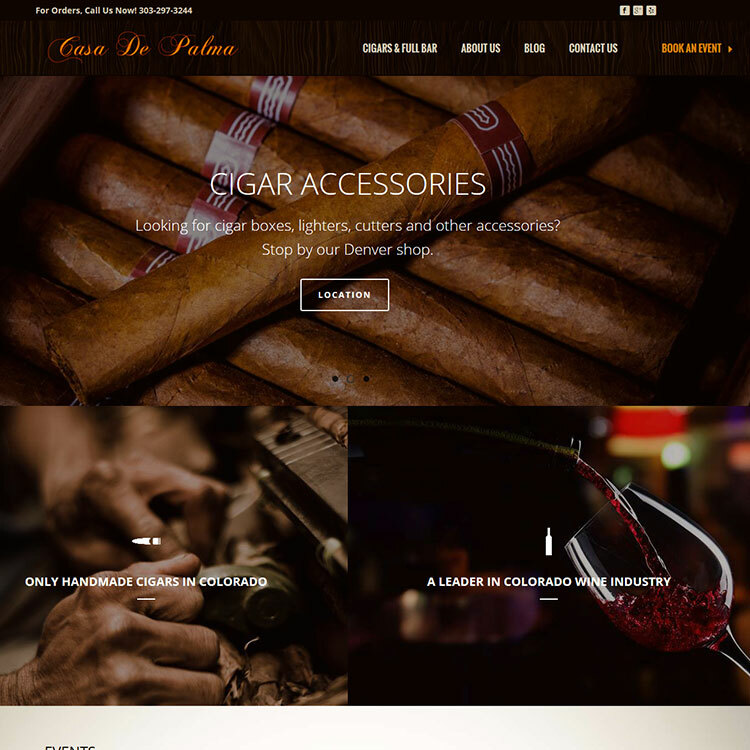 PALMA CIGARS makes premium hand rolled cigars and is a leader in Colorado wine industry. 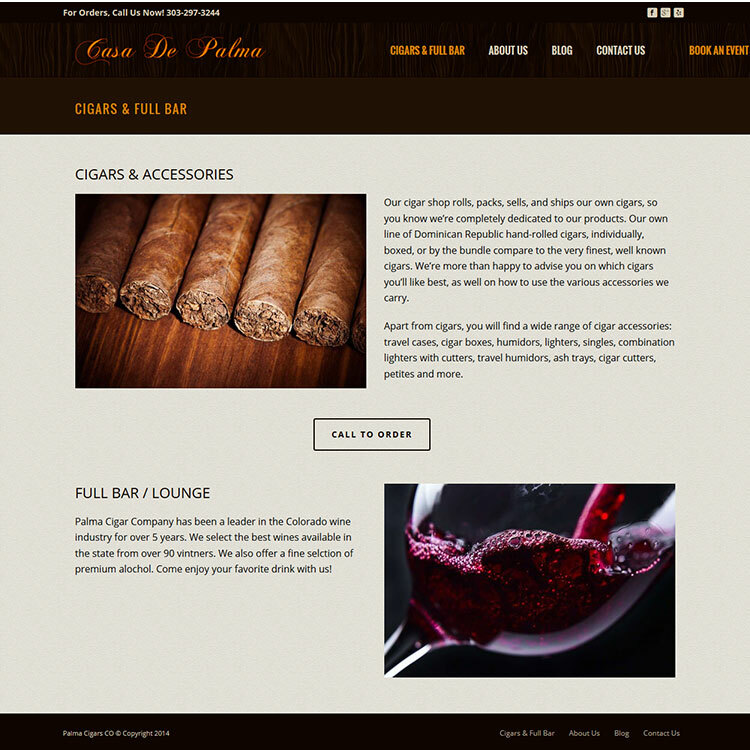 The company has a bar and hosts cigar rolling events. 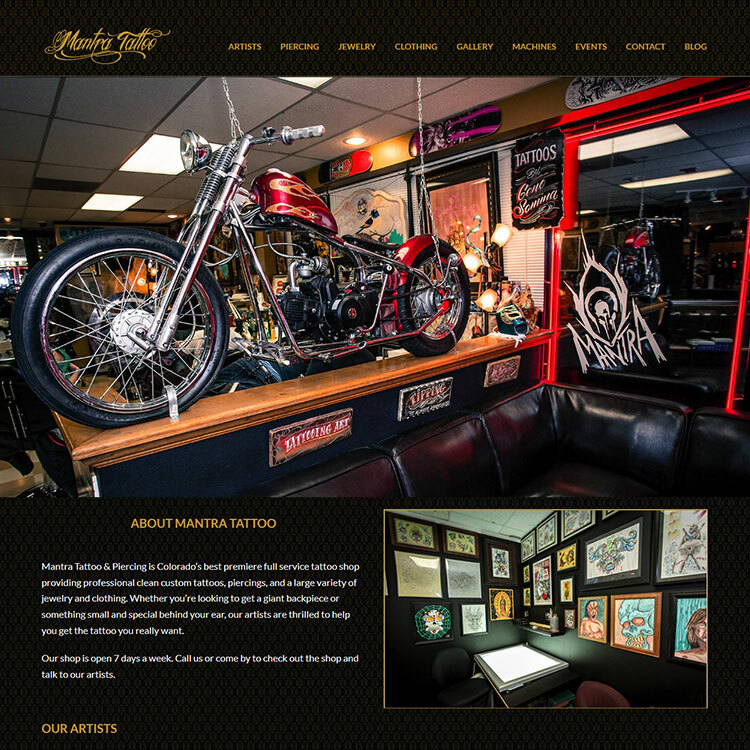 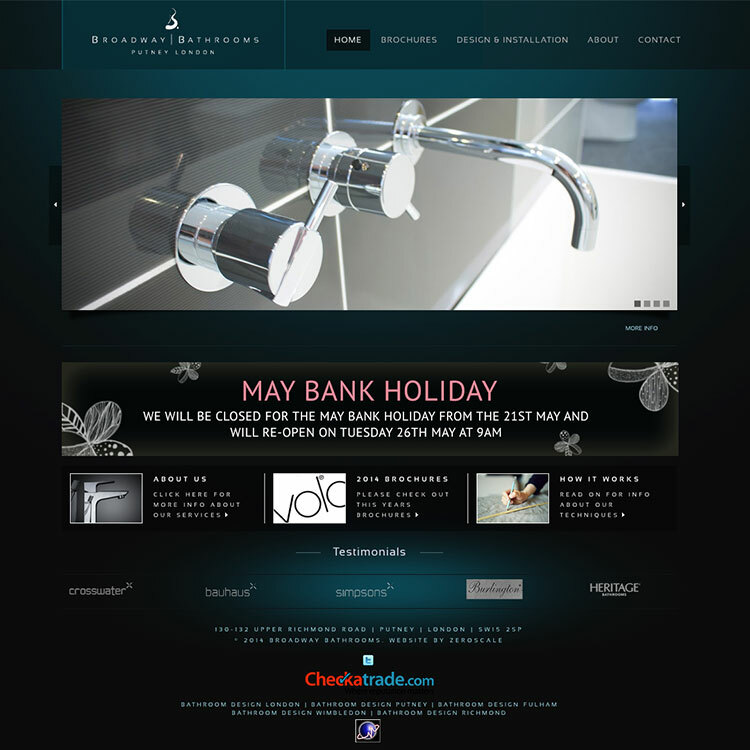 Our work included designing the awesome theme give the design a life development and a lot graphic work. 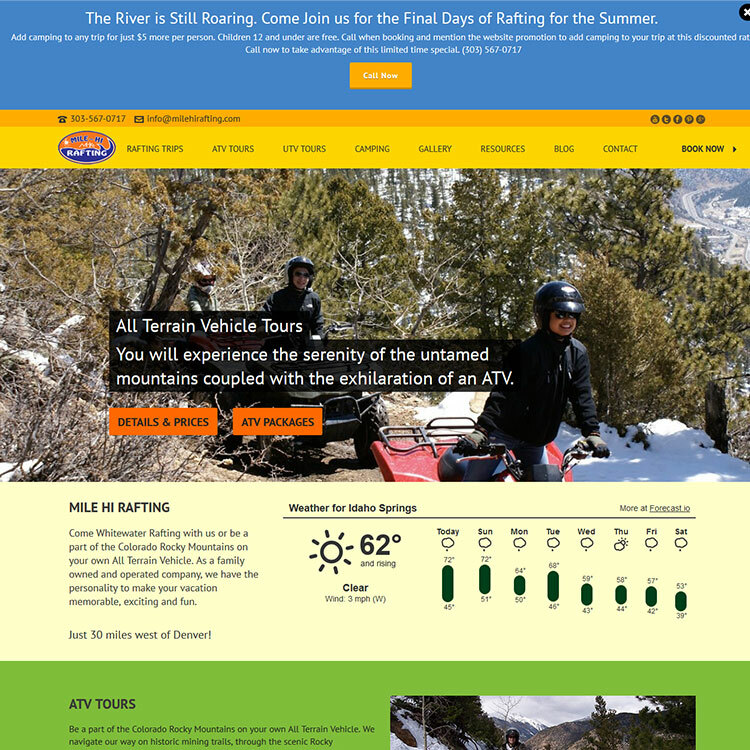 Of course it is based on WordPress.